Aptly named, he is the streak of human lightening that hit the sporting stage and filled our hearts and consciousness with wonder. The king of speed, and the sprint world record holder who made so much athletic history in his decade long dominance of the sport. 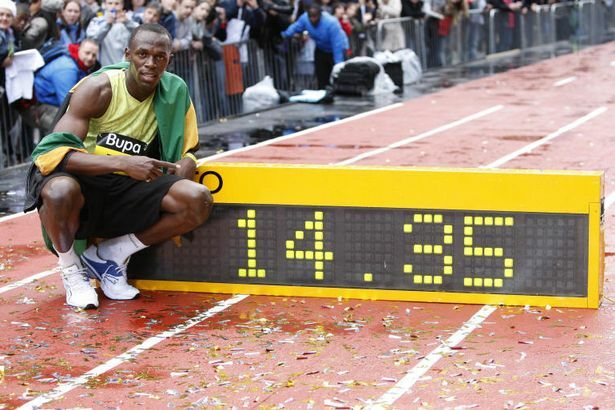 But what actually was Usain Bolt's fastest race ever? Well, the answer is not what you'd expect. Nine years ago this week, Jamaican Sprinter Usain Bolt wandered out on to a busy shopping street in Manchester — and shocked the world. 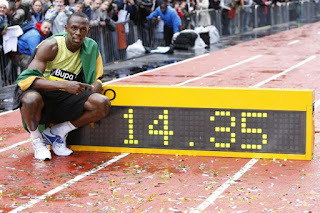 I'll prepared the Jamaican sprinter ended the day running the fastest time ever clocked by a human being. It wasn't at all a good day for breaking records. It had been raining hard. Not a day for hanging around. Few expected the Jamaican to take that so literally. He most certainly did! “The final of the men’s 150 metres,” Stuart Storey told BBC viewers, as the gun fired and passers-by looked up to see the big man stumble out of his blocks—a hitch that did nothing to stop the explosive display that was about to occur. Just nine months earlier, Bolt had dramatically changed the record books twice at the world's stage by running the 100m and 200m at the Beijing Olympic Games in world-record times. But this phenomenal athlete wasn't done. Ninety-one days later, he would improve both of those at the World ­Championships in Berlin, clocking times of 9.58 and 19.19 seconds, which still stand to this day. It wasn't a major sporting event. Not a stage where records are made or broken. The first CityGames was ­little more than a bit of fun in between, an excuse to take up a personal invitation from Sir Alex Ferguson to visit ­Manchester United training ground and attend the title decider against Arsenal. He didn't even have the support of his training team. There was nothing at stake and his coach did not want him there. Only days before, his car had come off a Jamaican road and overturned in a ditch. But as the world got to realize once again, Usain St Leo Bolt doesn’t do things by half. Scorching the tracks! The 22-year-old flashed past the 100m mark in 9.91 seconds and tore through the finish line beside the Hog’s Head pub, the clock stopping at 14.35secs. Strangely,What nobody realized back then was just how fast Bolt had run. First of all, When Bolt ran 9.58 in Berlin, his ­average speed for the 100m was 23.35mph. 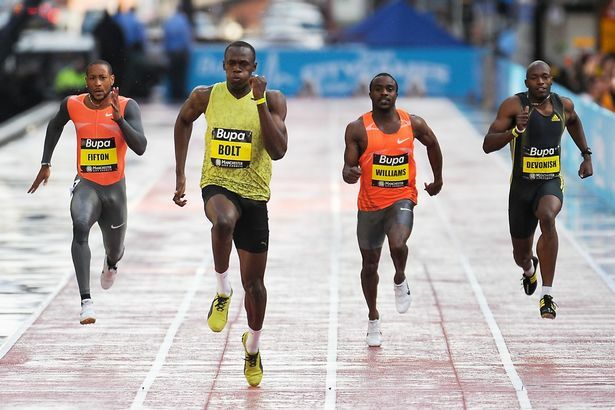 For his 200m world ­record, it was 23.31mph. That cold, wet ­Manchester day, in legal wind conditions of less than 2m/sec, he averaged 23.38mph. Guess what Usain Bolt ran the last 100m—an astonishing 8.70secs! For nine more years after that, the world's fastest man would continue to dominate the sprint world in charismatic and devastating fashion.